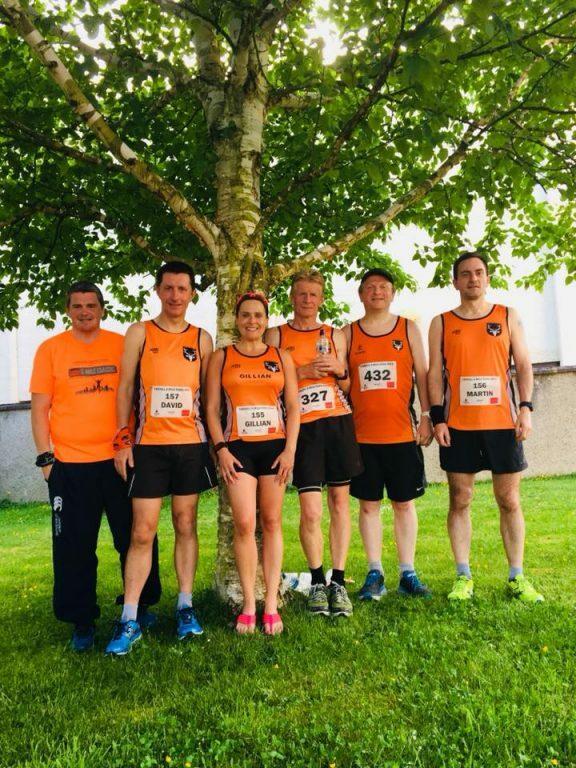 The continuing period of good weather meant most local races were run in warm conditions and there was no shortage of different types of races for Orangegrove members to take part in. The ever popular 5 mile race was run in warm conditions on Wednesday night. The course is two laps and is pretty flat so good times are a possibility. However the heat may have slowed a few down. The spread afterwards was certainly worth the run around the County Antrim town. The race was won by the North Belfast Harriers duo of Mark McKinstry (25:14) and Gladys Ganiel (28:52). Times for Orangegrove participants are below. 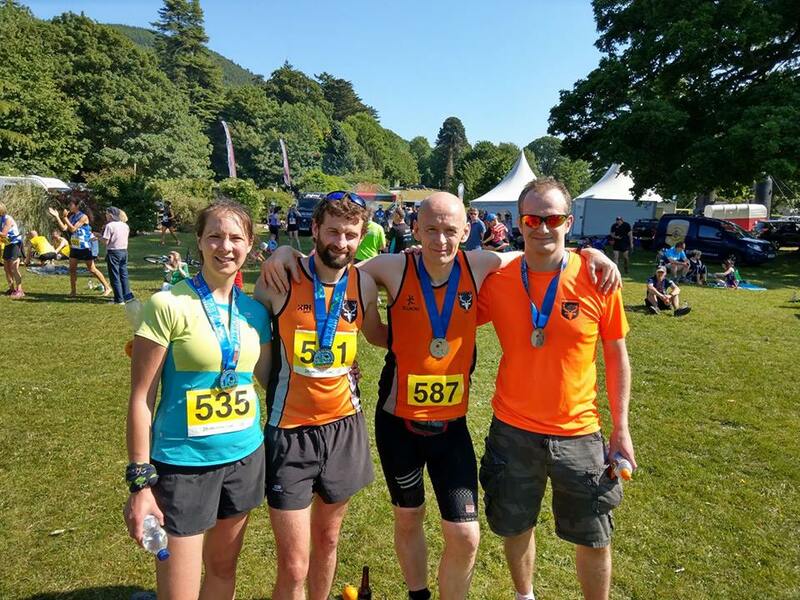 Unlike last year when a spectacular storm ripped through the Mournes the night before the event, participants were greeted with blue skies and very warm conditions. The marathon starts in Donard Park and makes its way roughly along the Ulster Way whilst the Half Marathon starts near Ott Track and the 10k starts near Leitrim Lodge with all races finishing in Kilbroney Park, Rostrevor. Heather Shanks-Miller braved the full marathon and finished in a fine time of 5:40:13. Four adventurers took on the half marathon course and times are below. Congratulations to Andrew Tees on his sixth place finish. 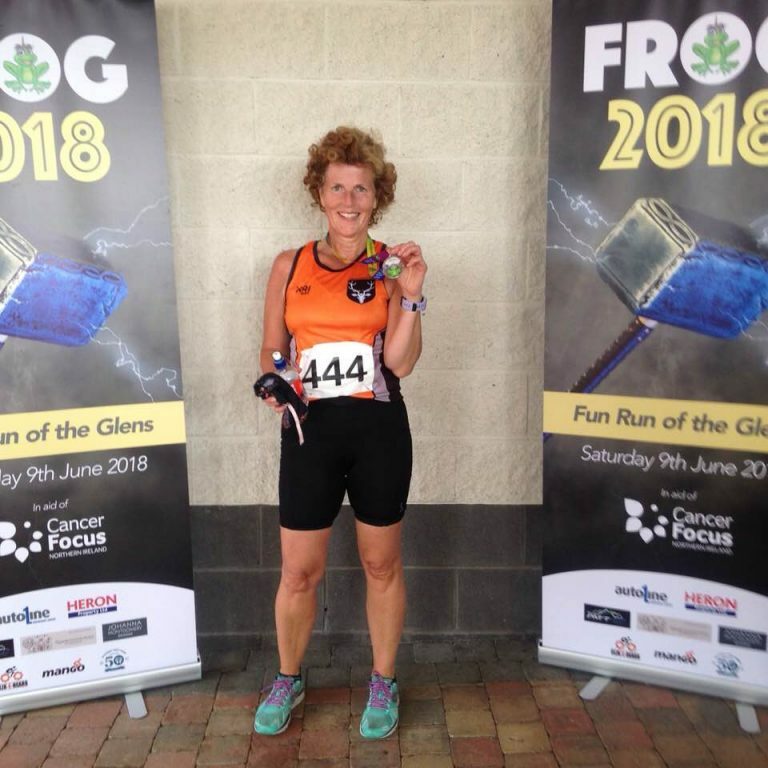 The ironically named Fun Run Of The Glens was held on Saturday with a number of cycling events and running events taking place to raise money for Cancer Focus. In near perfect conditions Marcia Sharkey was the sole Orangegrove representative and she completed the 10 mile race in an admirable time of 1:55:51. 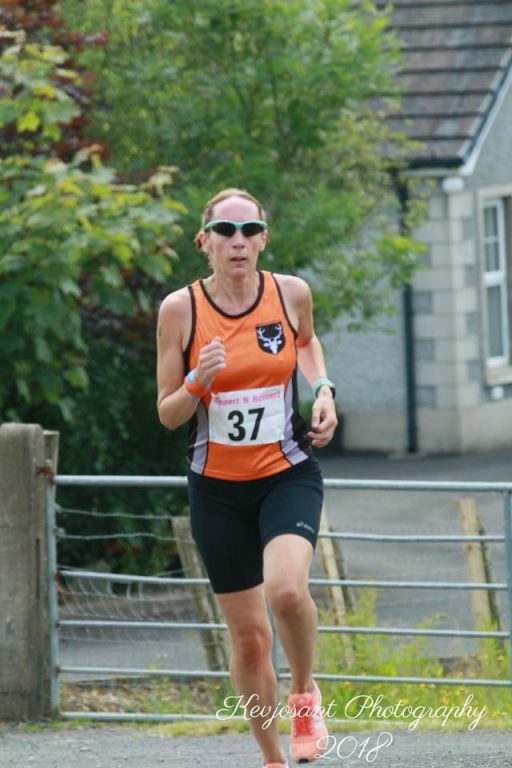 Verity Cornford was conspicuous by her absence at the latest Hill and Dale race bit she was obviously saving herself for an assault on the Stunnerz n Runnerz race in Magherafelt. Verity finished in a fantastic 17th place (39:02) in a race won by Julie Murphy of Lagan Valley AC in 32:46. The event began in June 1980 following a chat over a pint (or three) in the back bar of the Neuadd Arms Hotel. The then Landlord, Gordon Green, overheard two men discussing the relative merits of men and horses running over mountainous terrain. The enterprising Gordon, never one to miss an opportunity to promote Llanwrtyd Wells and improve business at his hotel, decided to put it to the test. And so began Green Events and its first, longest standing and now internationally acclaimed event, Man v Horse. I’m sure it is no surprise that Michael O’Donoghue took up this challenge and to date there are no results available.